Inspired by the beautiful typography-centric logos of Japanese cameras in the 70's and 80's, design firm Antrepo re-imagined the logos of tech companies by stripping them down to their essence. What resulted were line-based logos that're clean, light and forever classic. Just lovely! 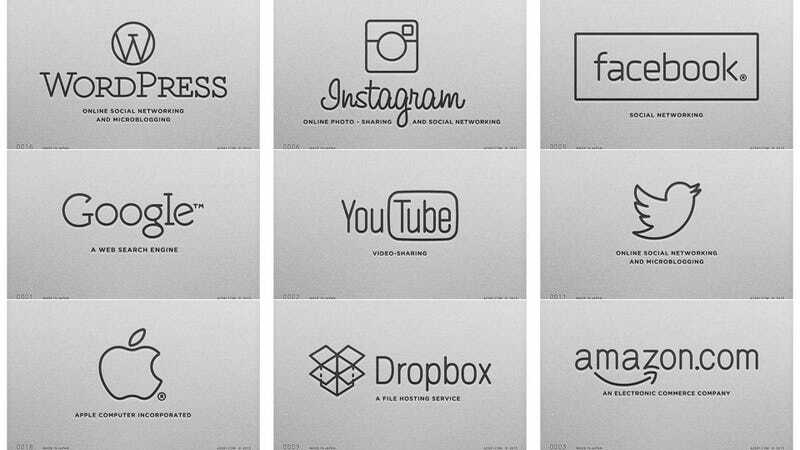 Here's how it would look on brands we're all oh so familiar with. It doesn't work for all of them (I like the Amazon one the least) but there's a certain vintage yet at the same time futuristic feel to the logos. I really, really like this one for some reason. I really like the W in a circle here.